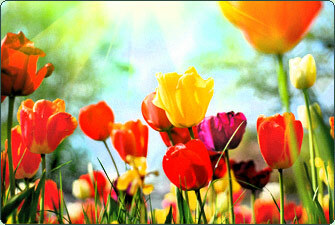 Please Remember to set your clocks forward one hour on Sunday March 9th. Grade cards will be set home on Friday March 7th. March 11th is the next PTA Meeting. It will start at 6:30pm in the library. Come have your voice heard. With the points earned from submitting Labels to Education, your PTA has been able to order two new ball racks and 12 new playground balls for our kids. 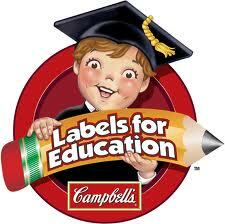 There are over 2500 participating products that have the Labels for Education UPCs on them. You can clip the UPC and put them in the envelope posted outside of the school office or to your classroom teacher. We still have over 3000 points to spend. See http://www.labelsforeducation.com for more details. Thank you! Our Family Picnic will be March 30th from 12pm-3pm. It will be at Galvin Park and will feature music, jumpy house with a slide, games and opportunity drawing. Jeff Tyler will also be there with his food truck or you can pack a lunch. There is no admission fee and everyone is welcome! Also we need volunteers to help plan and setup games and auction. The Proctor Terrace Golf Tournament is coming on April 11th. Parents are welcome to come to Legend’s at 7pm for Hors d’oeuvres, beverages, a live and silent auction and dancing. Join the golfers into the evening to party and raise money for our school. Click here for the form to order a tickets for the event. The Proctor Golf Tournament is BACK! Bennett Valley Golf course is hosting a fun-filled tourney with hosted holes, a dozen contests, and HUGE PRIZES! If you are interested in playing, volunteering, or partnering with us to raise money for Proctor Terrace, please email Troy Cox at troym84@yahoo.com, and Charlie Woods at 707equity@gmail.com. This will be an amazing time!